Hi everyone and welcome to Nonna's Craft Corner! 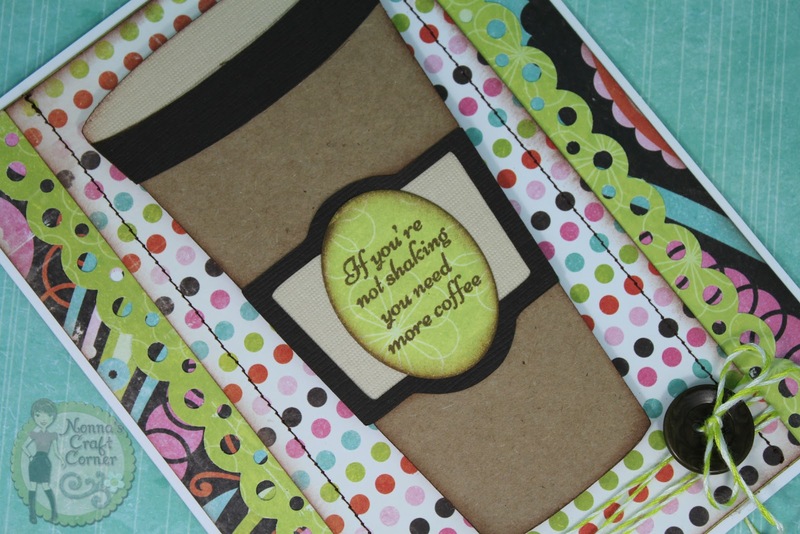 I ~LOVE~ this fun sentiment from Pink By Design...it pretty much says it all! *Twine is from "Jillibean Soup"
is from the Pink By Design stamp set "Days Like This". I love this card...but then, I'm addicted to coffee! Ok, so thanks for letting me share my fun card and my special news with all of you today! I hope you have a wonderful day and I'll be seeing you soon! Congrats on being published--well deserved you talented lady! And I love your card today. Super cute! Hoot Hoot!!! I am so excited for you that you were published...no surprise-your work is fabulous!! I am curious-where do you find the info out on when and where to enter?= a project? Your card is awesome and I LOVE the sentiment:) Fun card! Again, congrats! That is awesome Tanya, congrats!!! Can you post a pic for us to see??? This is a cute card, btw! Congrats! No surprise here, your work is amazing. This card is no different. Sentiment could fit me somedays. Have a great day. That's awesome!! Congrats! :) super cute card too, I love the sentiment. Hip, hip hooray!!! Congratulations Tanya. I'm not a bit surprised, your work is always fantastic. Including this card. Cute, cute, cute! Oh YAY Tanya!!! How exciting for you! 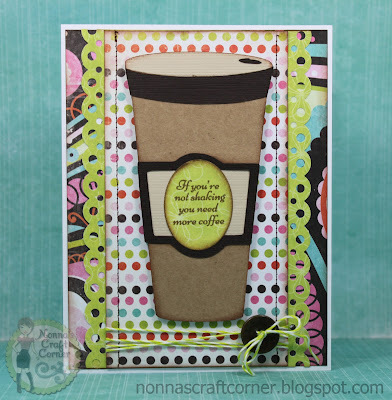 Your card is SUPER cute love the cut and the great paper! Congrats! The card is lovely and one of my favorite cartriidges! Way to go and thanks for the daily inspiration. Your card is great, and even greater is your news about being published! Go You! That's fantastic and a scrapper's dream. Congrats!--Pat N.
Congratulations Tanya! So exciting!! I love this card- that sentiment is so funny! Oh Tanya, that is wonderful news! I have to go and get that issue. Don't have it. Can't wait to see your project! YAY! Isn't Teresa wonderful? She is SO sweet! Your card is amazing and I agree with the tattoo. We've hit some sales lately and now we are collecting K-Cups like we do cartridges and stamp sets. BWAHHH HA HA HA HA HA!!! And still... I go for the French Roast first thing. Hee! Hee!